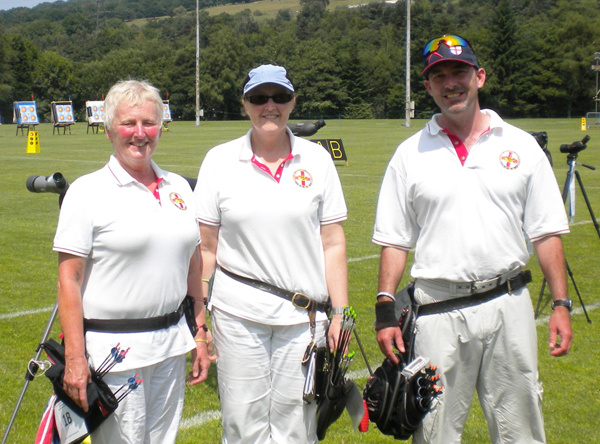 Pauline Burfitt, Kay Smith and Mark Rudd shot as part of the England Team at the Commonwealth Championships for Europe (which incorporated the Euronations). England had a very strong team and came away with a lot of team and individual trophies. 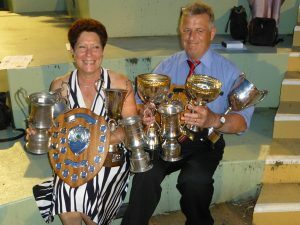 Pauline and Kay were part of the winning compound ladies team, while Mark was part of the compound gents team. On the Saturday (Commonweath Championships for Europe) Mark took 3rd in the Gents Compound, Kay came 3rd and Pauline 4th in the Ladies Compound. On Sunday a 50M round was shot by the Compounds archers – Pauline set a new DWAA and GWAS record with 677. Kay shot a PB with 671 and Mark equalled his PB with 693.